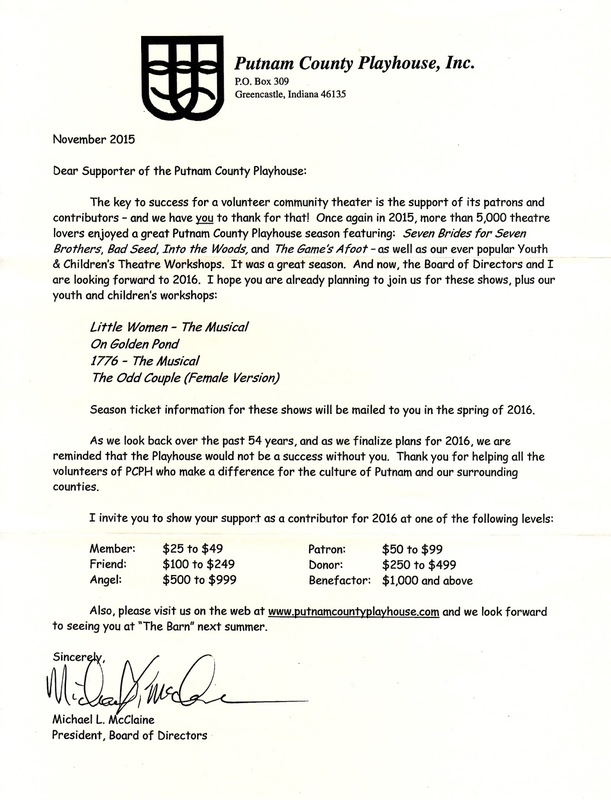 Putnam County Playhouse: WATCH FOR YOUR FUND DRIVE LETTER!!! WATCH FOR YOUR FUND DRIVE LETTER!!! Your 2016 Fund Drive Letter is in the mail. Thank you for your continued support for Putnam County Playhouse. All donations are used entirely for the costs associated with producing our shows and maintaining our facility. If you haven't received your letter, or you are not on our mailing list, you can download a form by clicking HERE.